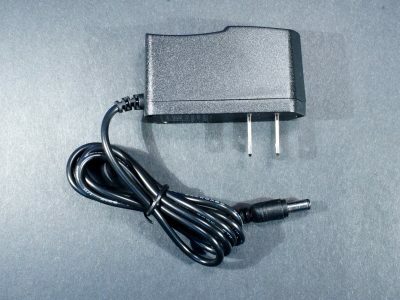 The AC Adapter 12VDC 2A provides a convenient way to supply 12V power to projects at currents of up to 2A. 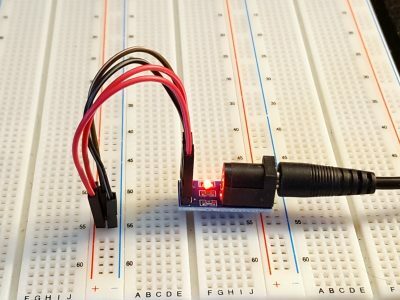 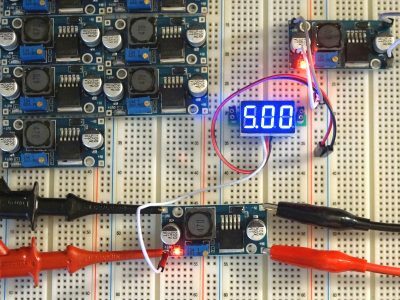 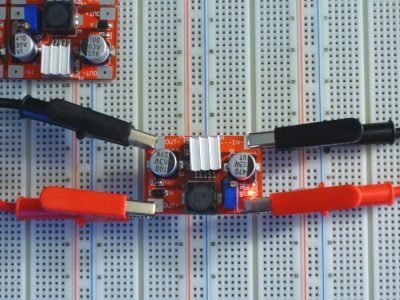 The AMS1117 5V to 3.3V Step-Down Regulator Module provides a convenient way for providing 3.3V on 5V breadboards. 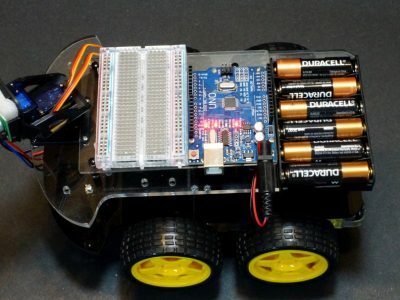 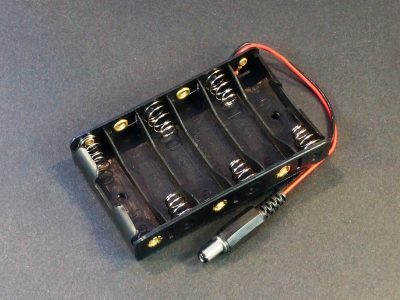 This 4 x AA battery holder provides 6VDC power which is useful for powering robotic or other mobile applications. 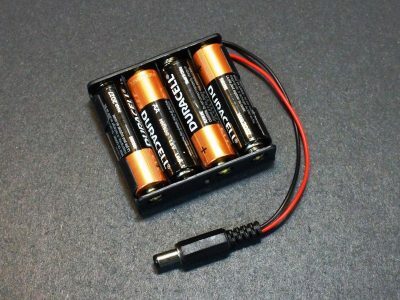 This AA battery holder provides 9VDC power which is useful for powering robotic or other mobile applications. 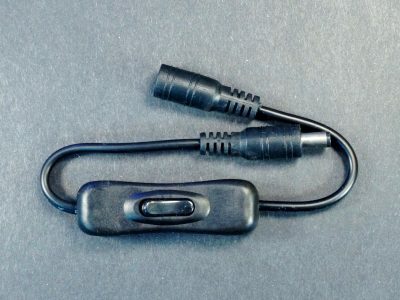 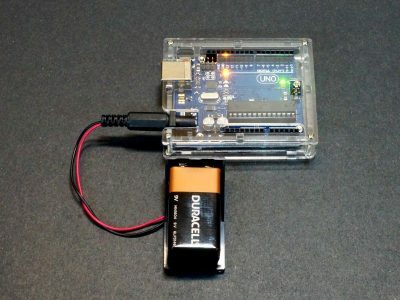 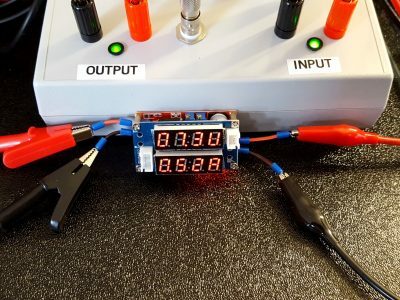 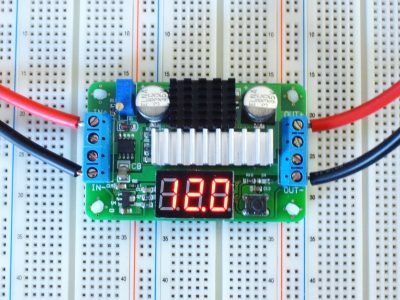 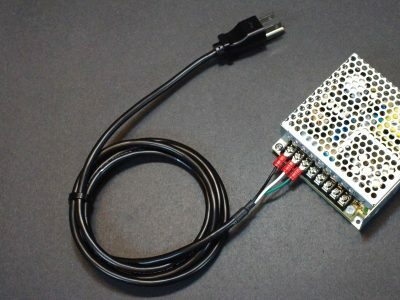 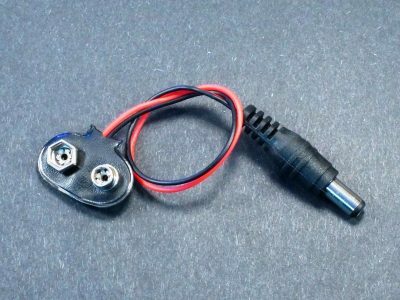 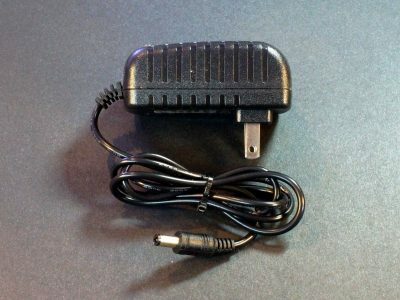 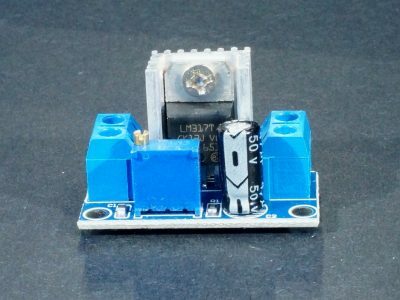 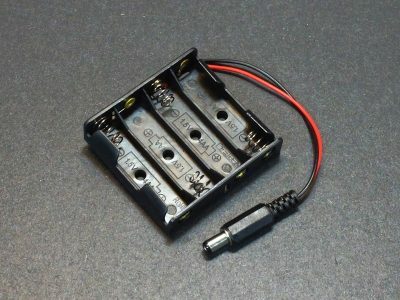 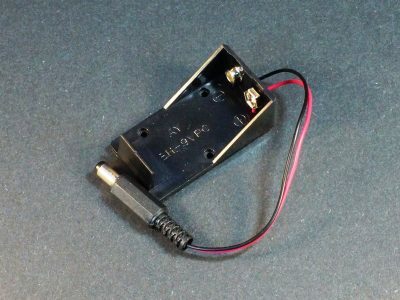 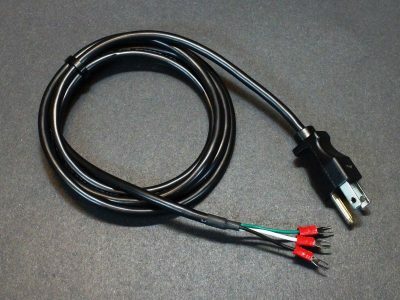 The Battery Holder 9V with DC Plug provides a handy way to connect a 9V battery to a project for portable operation. 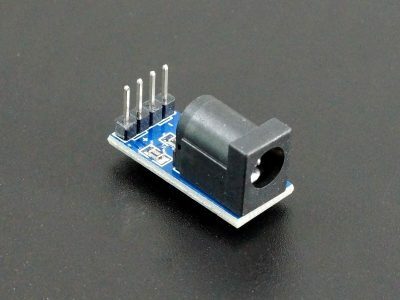 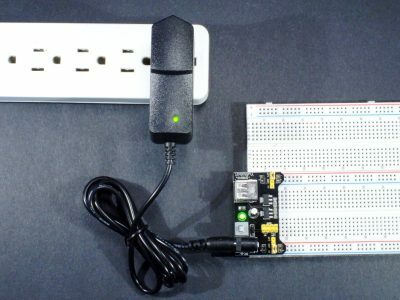 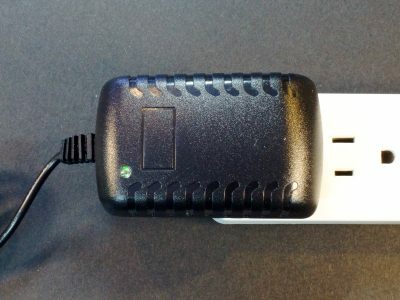 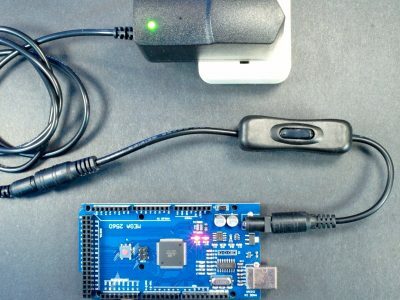 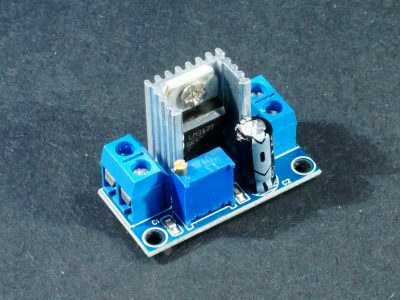 The DC Jack In-Line Switch allows you to switch DC power between your AC adapter and Arduino or other device. 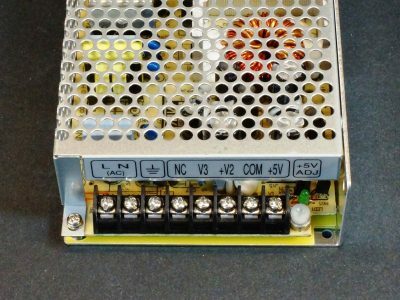 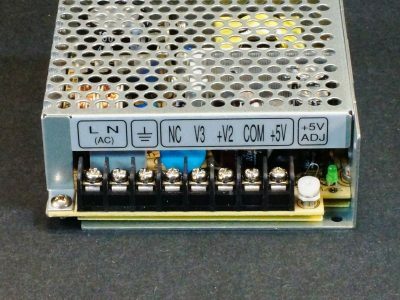 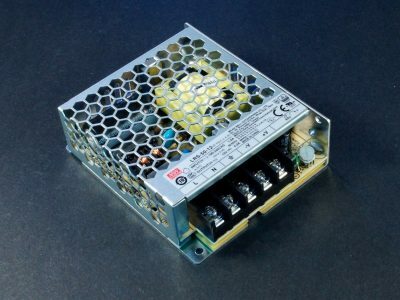 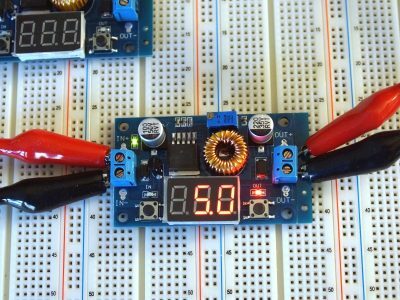 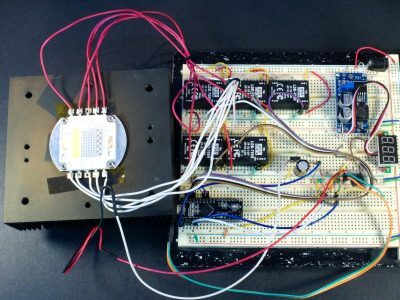 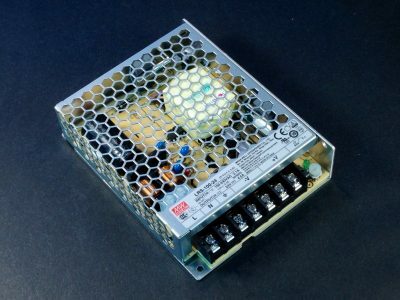 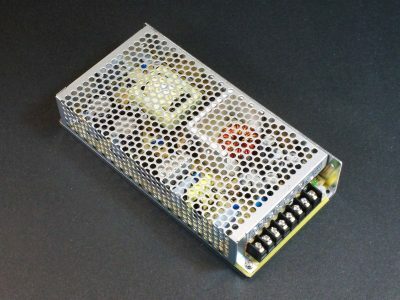 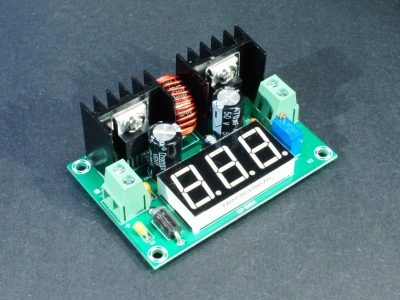 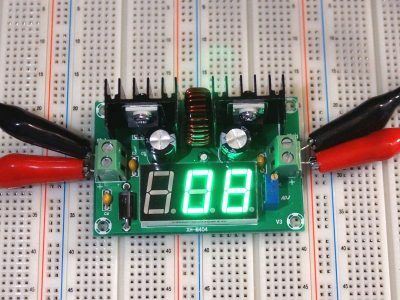 The Mean Well LRS-50-5 is a single output enclosed switching AC-to-DC power supply that provides 5V @ 10A. 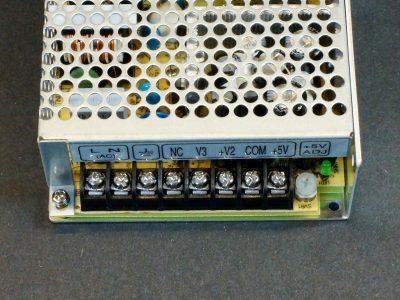 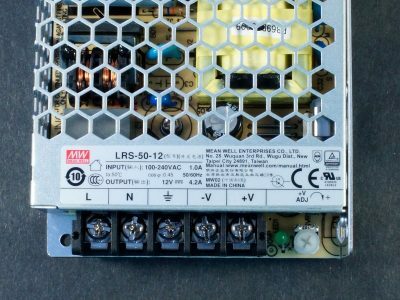 The Mean Well LRS-50-12 is a single output switching power supply that provides 12V @ 4.2A. 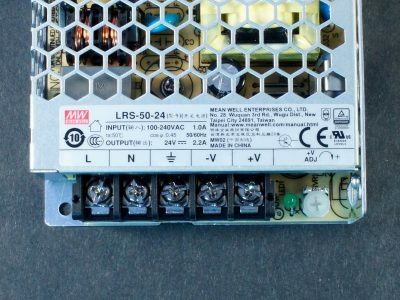 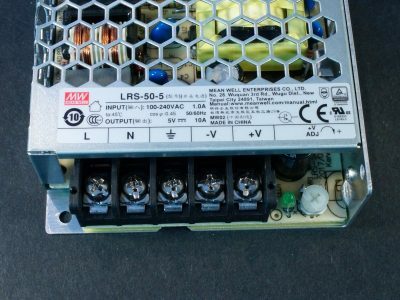 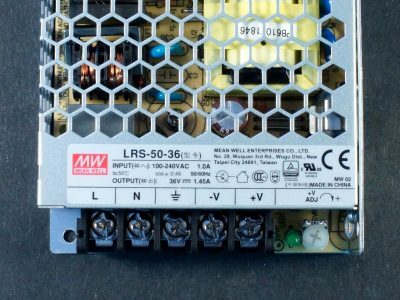 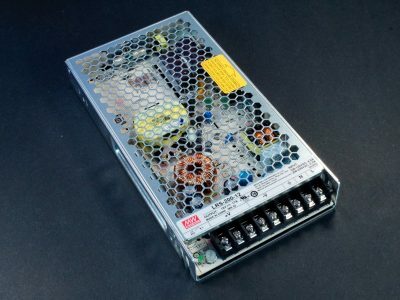 The Mean Well LRS-50-24 is a single output switching power supply that provides 24V at up to 2.2A. 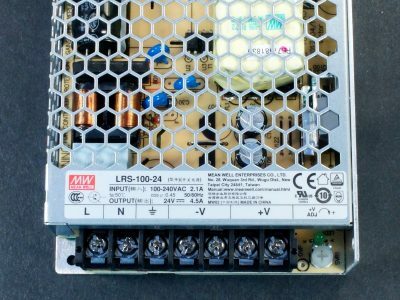 The Mean Well LRS-100-5 is a single output enclosed switching AC-to-DC power supply that provides 5V @ 18A. 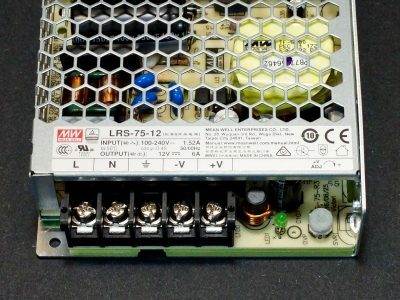 The Mean Well LRS-75-12 is a single output enclosed switching AC-to-DC power supply that provides 12V @ 6A. 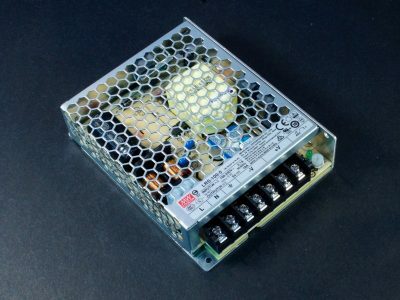 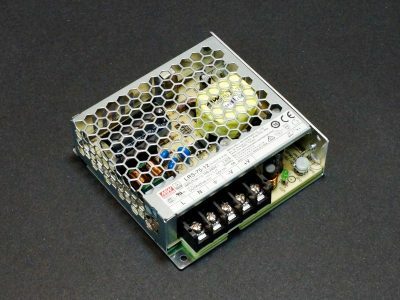 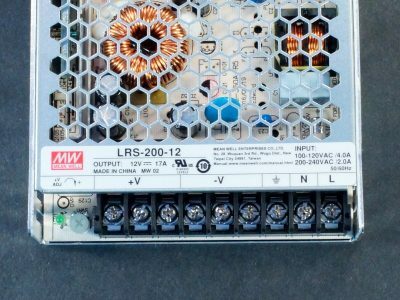 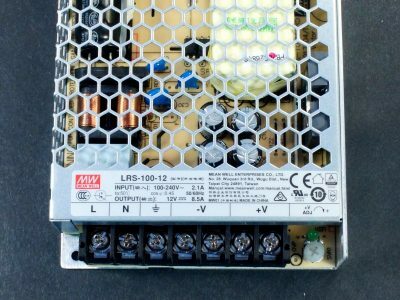 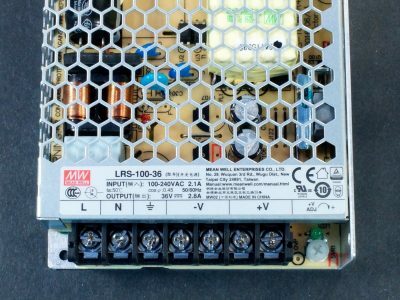 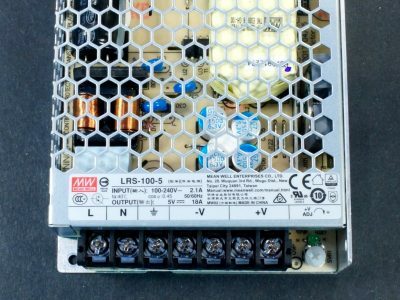 The Mean Well LRS-100-12 is a single output enclosed switching AC-to-DC power supply that provides 12V @ 8.5A. 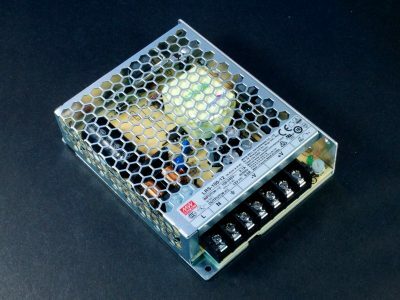 The Mean Well LRS-100-24 is a single output enclosed switching AC-to-DC power supply that provides 24V @ 4.5A. The Mean Well LRS-100-36 is a single output switching power supply that provides 36V @ 2.8A. 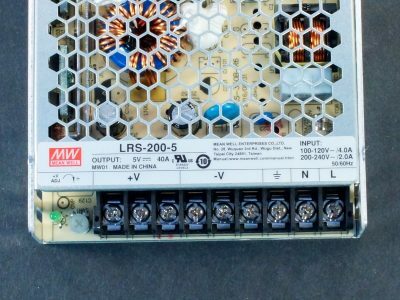 The Mean Well LRS-200-5 is a single output enclosed switching AC-to-DC power supply that provides 5V @ 40A. 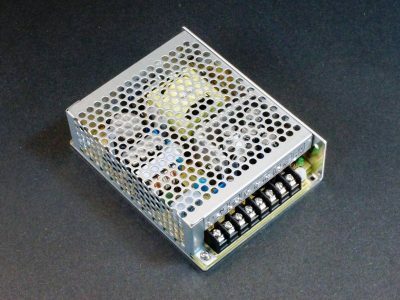 The Mean Well RT-50B is a multi-output switching power supply that provides 5V @ 4A, +12V @ 2A and -12V @ 0.5A. 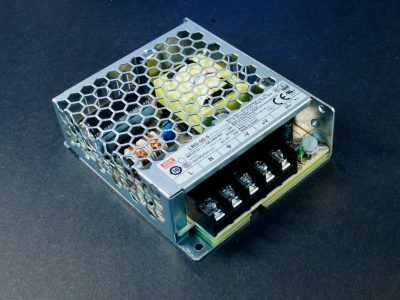 The Mean Well RT-65B is a multi-output enclosed switching AC-to-DC power supply that provides 5V @ 5A, +12V @ 2.8A and -12V @ 0.5A. 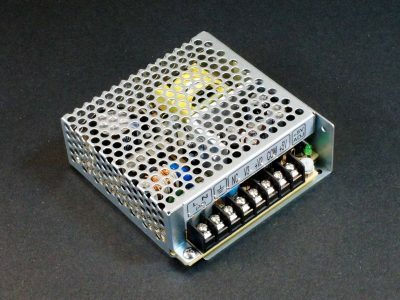 The Mean Well RT-125B is a multi-output switching power supply that provides 5V @ 12A, +12V @ 5A and -12V @ 1A. 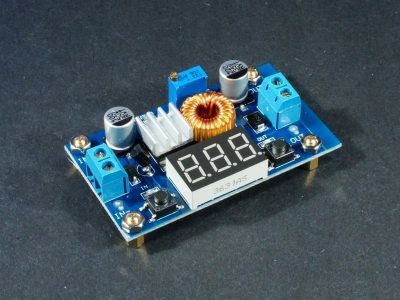 The LM2577 Adjustable DC-DC Boost Module can step-up the input voltage to a range of 5 – 56V at up to 2A. 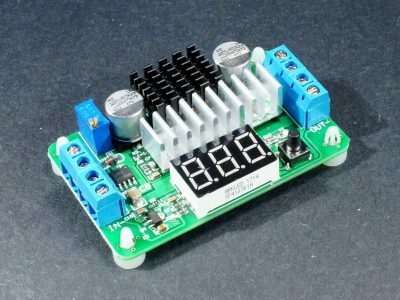 The LM2596S Adjustable DC-DC Step Down Module can step-down the input voltage to a range of 1.25 – 35V at up to 2A. 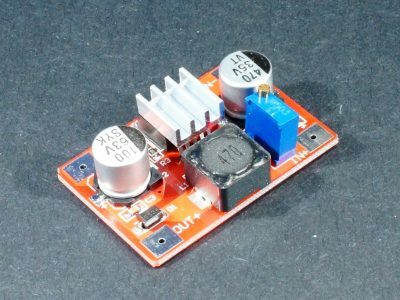 The LM317 Adjustable Linear Regulator Module can output 1.25 – 37VDC at up to 1.5A. The LTC1871 Adjustable DC-DC Boost Module can step-up input voltage to a range of 3.5 – 30V at up to 10A. 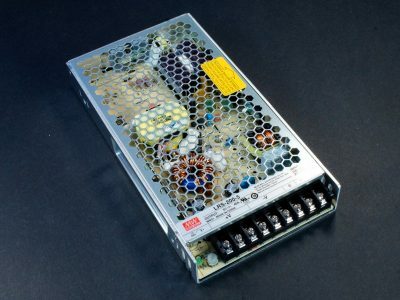 The XH-M404 Adjustable DC-DC Step-Down Module can can step-down the input voltage to a range of 1.25 – 36V at up to 8A. 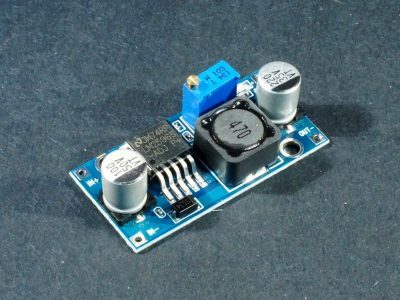 The XL4015 Adjustable DC-DC Step-Down Module can can step-down the input voltage to a range of 1.25 – 36V at up to 4.5A.